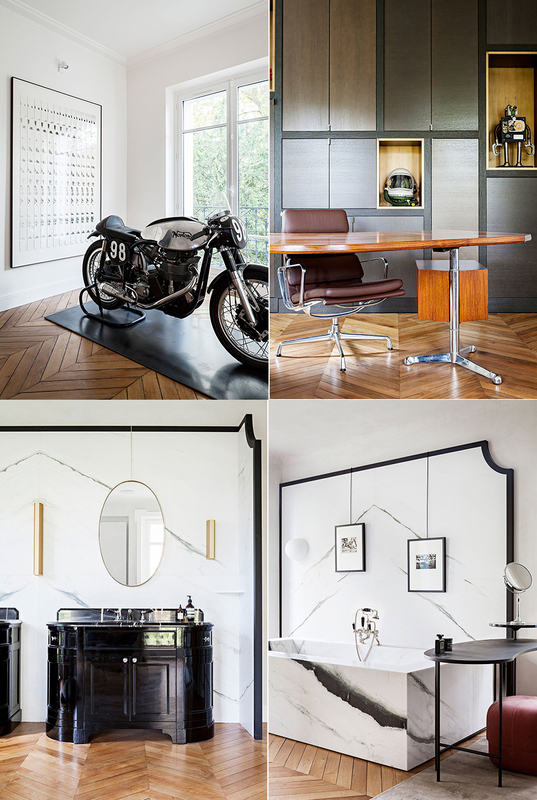 Recently, Paris-based interior designer Tristan Auer completed his first design commission since Atelier Tristan Auer became part of the Dallas-based luxury design group, Wilson Associates. 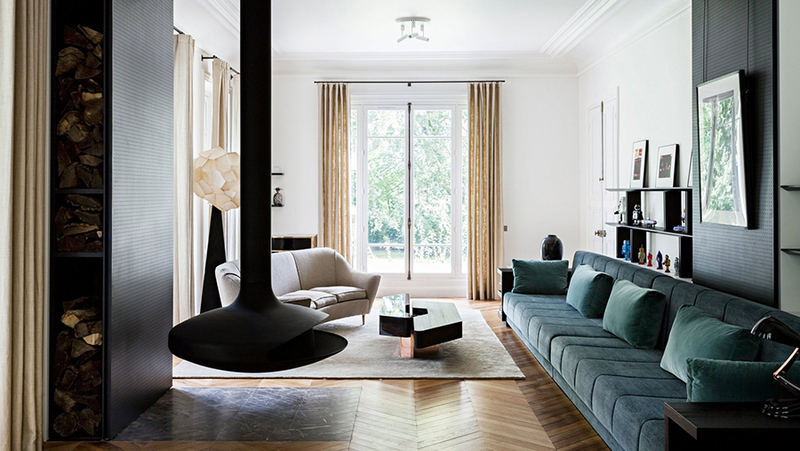 The project in question is the renovation and reconfiguration of a breathtakingly luxurious family residence in the Saint Cloud neighbourhood of Paris. Saint Cloud is one of the wealthiest towns in France and one of the most exclusive residential areas in Paris. It is named after the 14th century Château de Saint-Cloud, the palatial home of many French noble and ruling families. 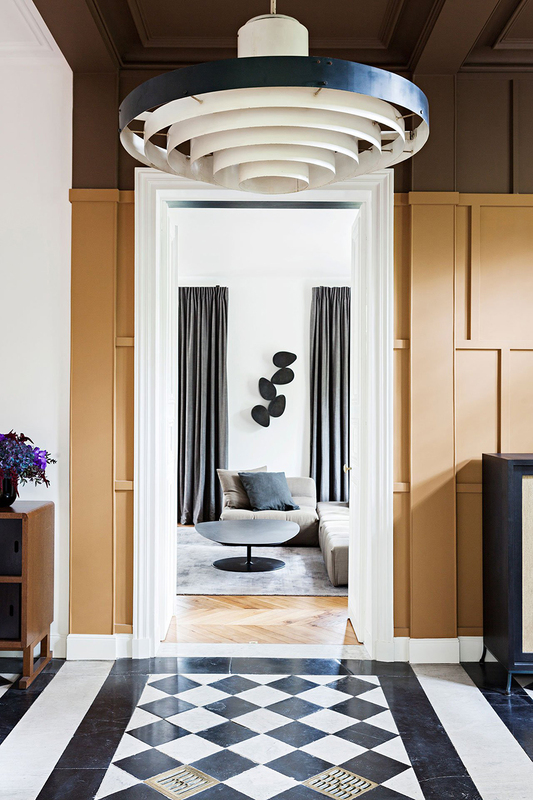 Tristan Auer and British-born architect Neil Rawson, also of Wilson Associates, created the family residence in collaboration with Jerôme Bugara as the architect and project manager. And although the three-story, 500 square-metre villa (abt 5,400 sq. ft) is, indeed, luxurious, it is far from prissy or pretentious. It is first and foremost a home for a busy family with small children and secondly, it is an setting to showcase the family’s substantial contemporary art collection. The old-world luxury is still visible in the height of the rooms, in the salvaged and restored parquet floors, in the black and white marble tiles and restored plaster cornices, but it is a backdrop for the newer and funkier additions that include some of the owners’ flea-market finds. Furniture and furnishings were, in many cases, designed specifically for this client. These include the super-cool, five-metre-long blue velvet sofa and the living-room coffee table, both designed by architect, and furniture designer to Fendi and other prestigious clients, Thierry Lemaire. 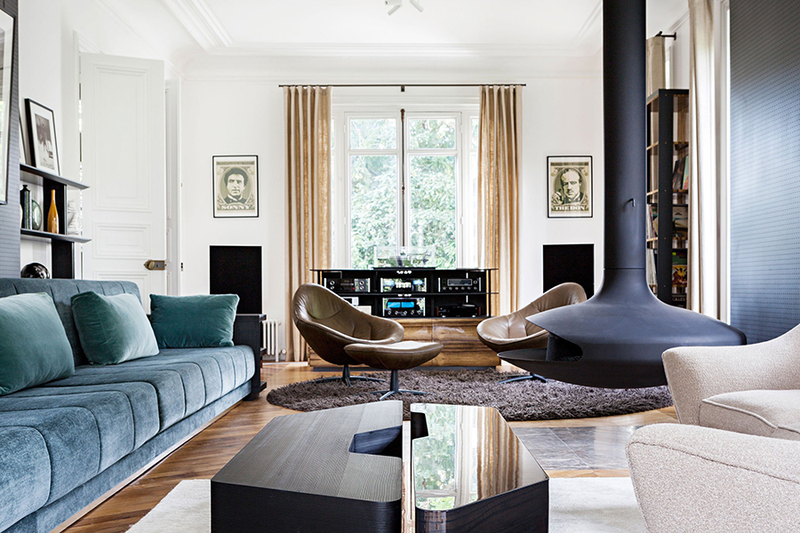 The suspended, 360° pivoting fireplace by Gyrofocus is a design icon created by Dominique Imbert in 1968, and it seems supremely chic and modern in this classic environment. In the bathrooms, the stone cladding and bathtub were custom made by the Parisian Real Marbre from stone selected by the client. Some of the owners’ more eclectic pieces of art include a motorcycle and an astronaut helmet now on display in the office. Tuija Seipell.